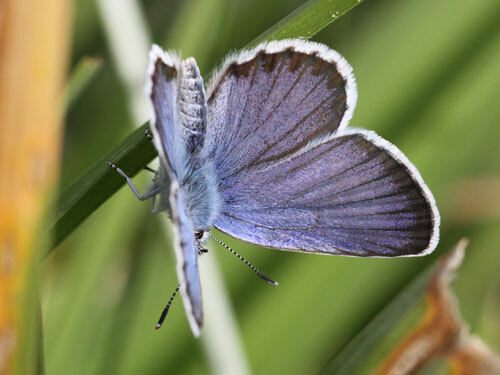 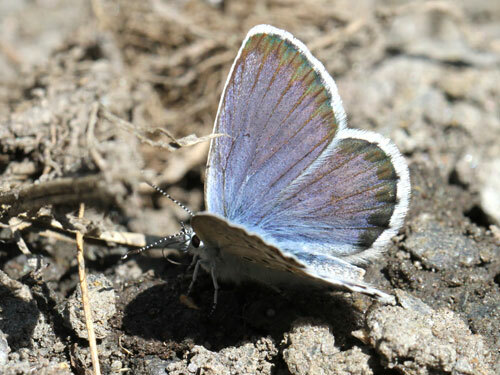 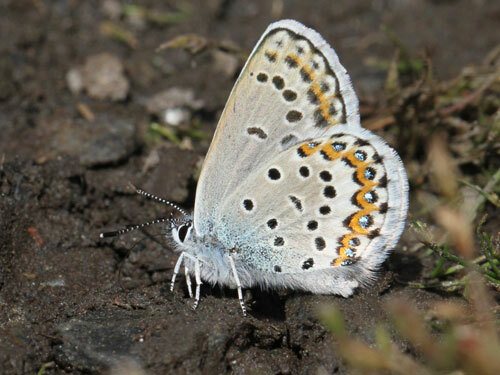 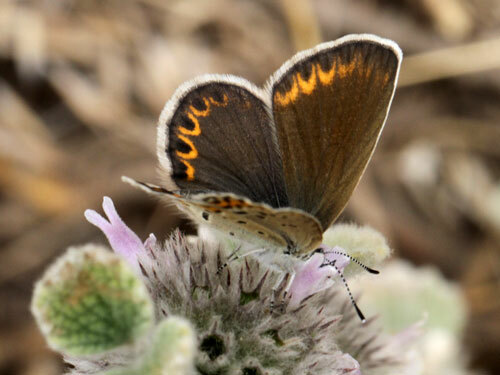 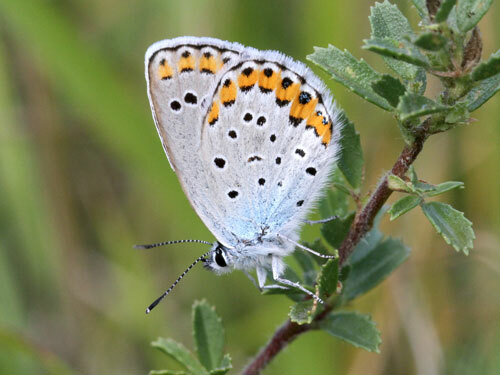 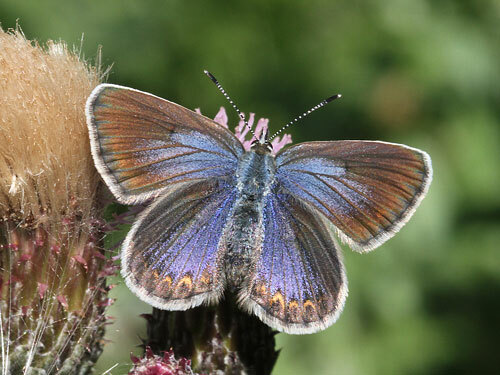 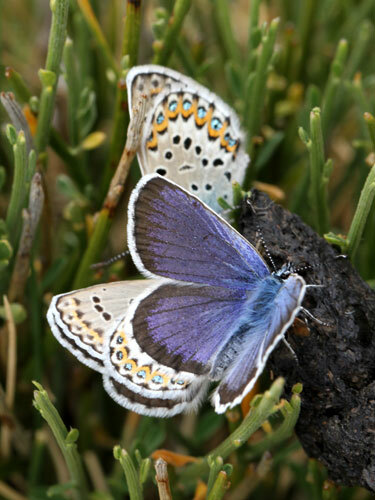 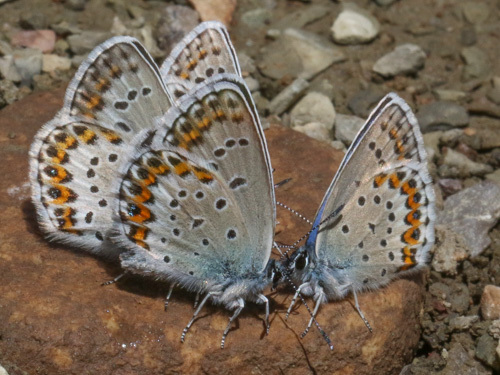 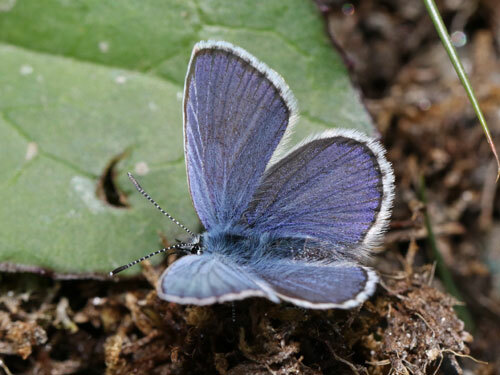 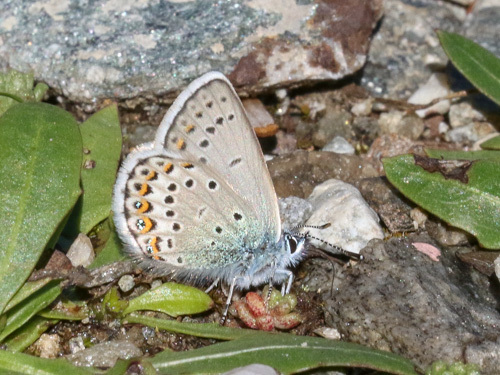 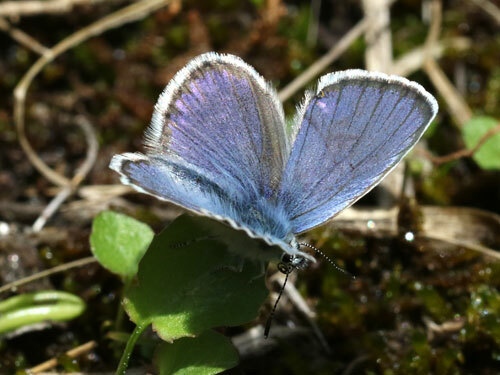 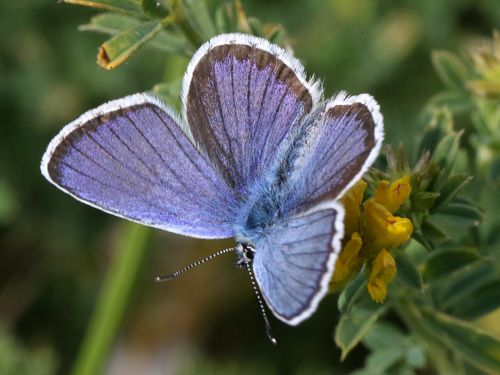 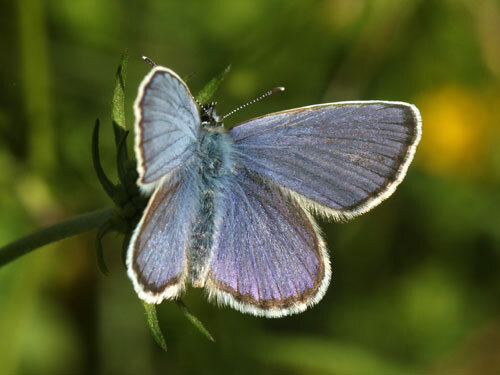 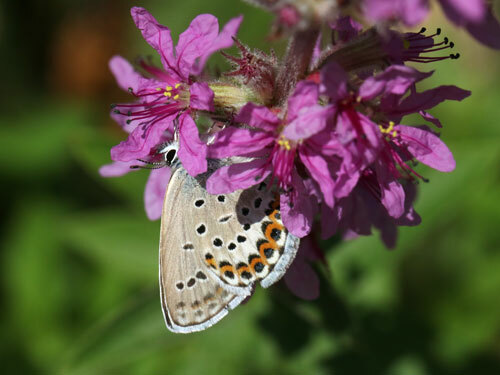 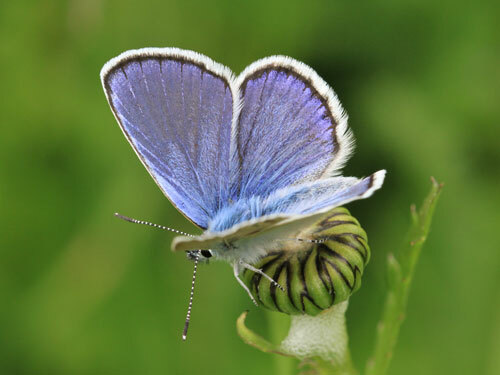 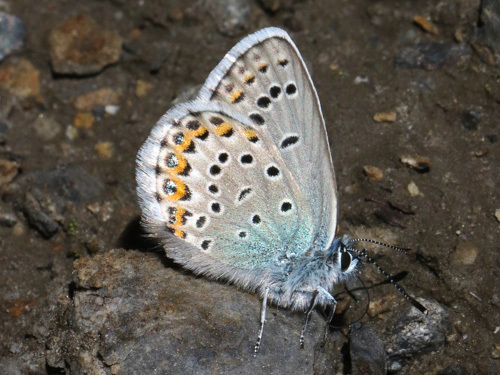 A widespread and common species, it is very similar to the silver studded blue, P. argus. 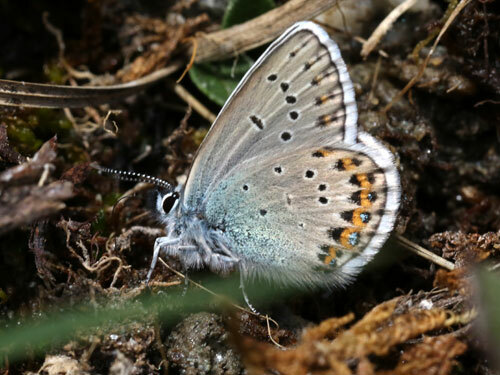 Identification & Similar species: See species page for silver studded blue, P. argus, for information on how to separate the current species from the idas and Reverdin's blues, P. idas & P. argyrognomon. 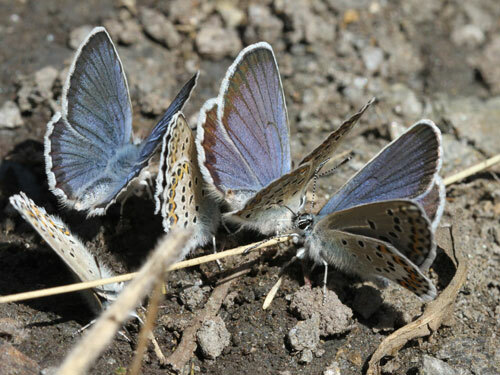 Distribution & Flight: Across most of Europe, except parts of Spain, south Italy and the UK. 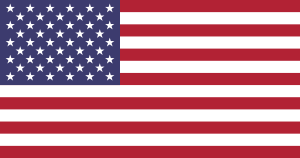 Not north Africa. 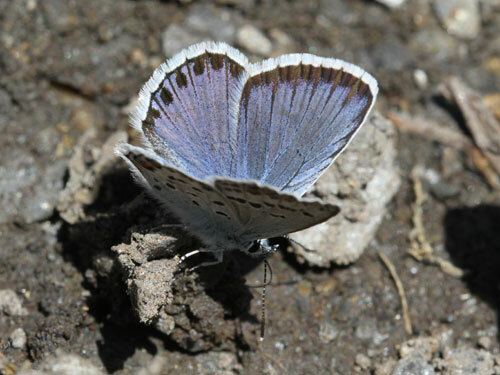 It flies in a single brood, sometime double, generally between June and August. 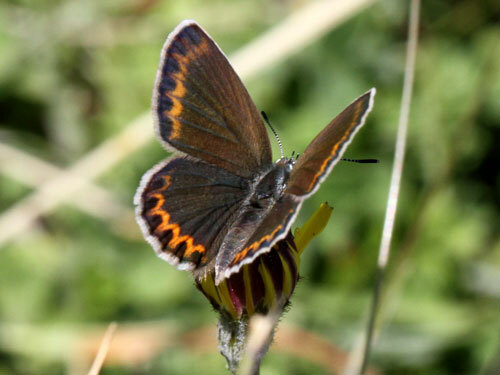 Habitat & Behaviour: Diverse grassy flowery places upto alpine levels in open places grassy flowery places or scrub/ bushes. 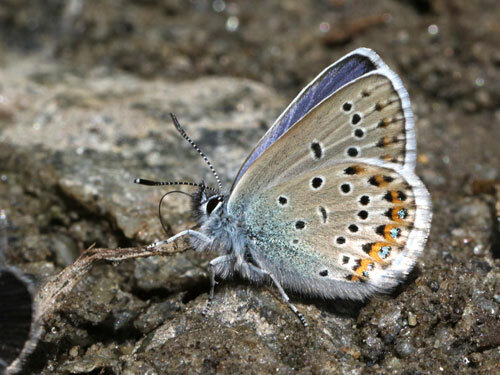 Variation: The taxon Bellier's blue, P. bellieri , from Corsica is now usually promoted from a subspecies of P. idas to species. 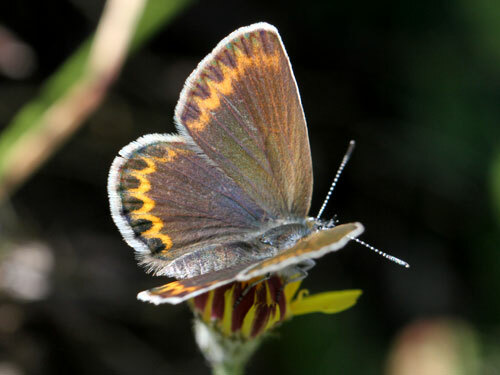 The subspecies calliopis has relatively fine markings and is notable for using the bush sea buckthorn, Hippophae rhamnoides, as a larval food plant. 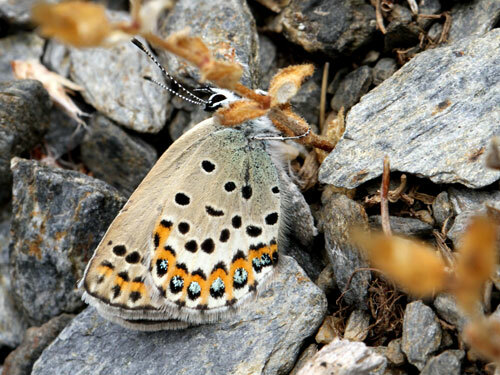 This taxon is local in the Alps and may fly close to the nominate form which flies generally at higher altitudes here.